As a result, he now enjoys a 41 points advantage ahead of Tom Toparis (Cube Racing, ZX-6R) in the Yamaha Motor Finance Australian Superbike Championship presented by Motul Pirelli (ASBK). The opening laps in race one were frantic, with Halliday maintaining the lead from the start. but it was quickly brought to a halt with a red flag after Giuseppe Scarcella (Kawasaki BCperformance (ZX-6R) crashed on the opening lap. The field had to regather themselves and start over again with the race reduced to 12 laps. Halliday didn’t get such a good start this time. With Damon Rees (Carl Cox M-sports, Honda CBR600RR) taking the lead after a fantastic launch, followed by Max Croker (Mat Mladin Mladin Racing, Suzuki GSX-R600), Toparis and Halliday in fourth. Although he didn’t get the best start, Halliday quickly made short work of his opposition and went back into the lead at the start of lap three. The battle for the remaining podium positions was much more intense with Toparis running wide and going back to eighth position. Croker was also having a difficult race, appearing to lack grip after half race distance. As a result, Halliday took a convincing win with a new lap record at Morgan Park, in front of the very impressive Rees in second and the returning Callum Spriggs (Yamaha YZF-R6) in third for an unexpected podium. Croker finished in fourth after challenging for the lead in the early stages, followed by Lachlan Epis (ResponseRE, Kawasaki ZX-6R) in fifth. Tom Toparis (Cube Racing, Kawasaki ZX-6R) finished in sixth after a very disappointing race and will rue having run wide. 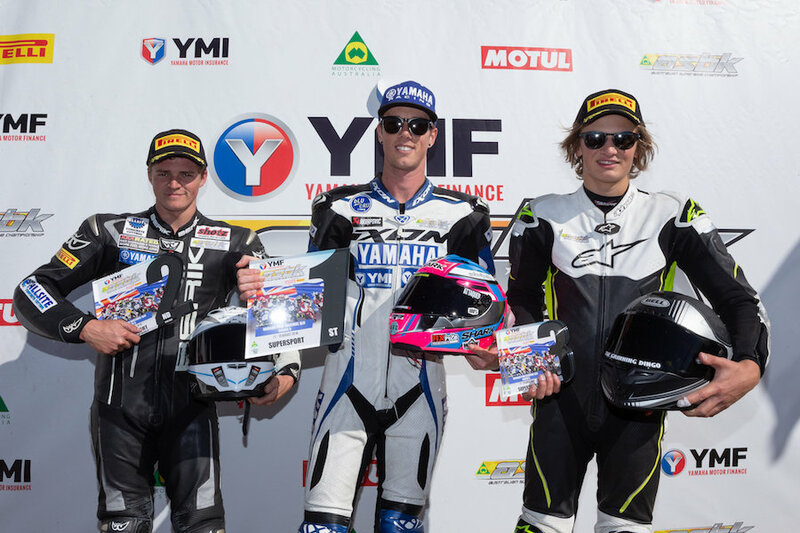 Broc Pearson (Yamaha Motors Australia, YZF-R6) finished in seventh, a great result after returning from injury. Halliday takes the second victory of the weekend for the Kawasaki Supersport class but he didn’t have it his own way this time. He was engaged in an enthralling battle with Toparis for the vast majority of the race but his strength in the latter stages claimed him the victory. Toparis battled hard like his life depended on it, but Cru was simply too good when it counted and won by 3.263s. His YZF-R6 looking like it was taking much tighter lines around the circuit. The two riders were a class above the chasing field. In a stark contrast to the first race, this one was much more spread out between the field. Managing yet another podium place was Callum Spriggs (Yamaha YZF-R6). It has been fantastic to see him back in ASBK after a difficult season last year in the YMI Superbike class. 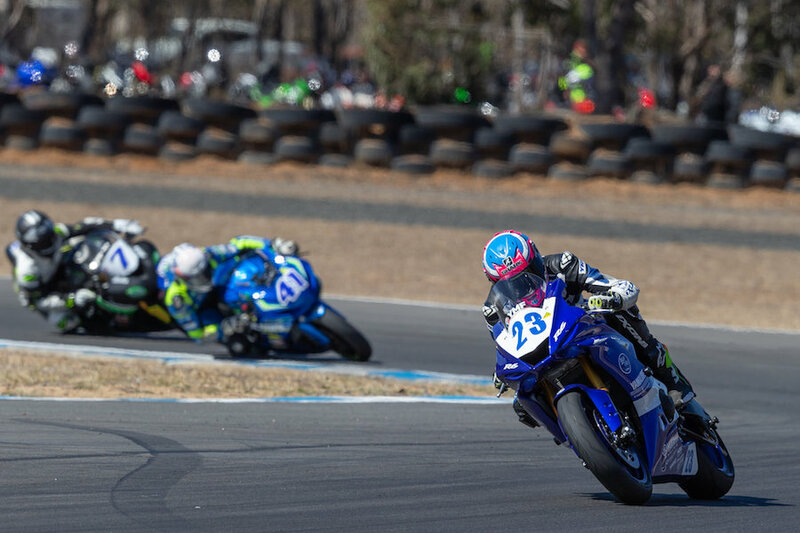 Former WorldSSP rider Lachlan Epis finished in fifth and Broc Pearson (Yamaha Motors Australia, YZF-R6) capped off his successful return after injury with fifth place. Halliday sharing; “Tyres were always going to play a big part in this race and when Tommy chose the softer option I thought to myself that If I could stay close then I could get him in the latter stages of the race. We tried that tyre before and we knew we went with the better option for the long run. Hats off to Tommy and big thanks to my Yamaha Racing Team. Toparis stated; “We had to try something after race one and we went with the softer compound tyre. In the end, it dropped off with about five laps to go. I think Cru knew our strategy and waited to make his move. We have to take risks now and see how close we can get. Looking forward to Winton now. Spriggs saying; “I haven’t ridden a Supersport bike in about two years and I was just looking to have fun this weekend. The goal was to get two podiums and I have managed to do so. I am so happy for my team, which is family based. I tried to stay with Cru and Tommy but they were too strong. The plan is also to be at the last round at Phillip Island. As a result of his clean sweep, Halliday leads the Kawasaki Supersport Championship with 289 points, ahead of Toparis with 248 and Rees in third with 178. With only two more rounds to go, Toparis will have to go all out for victories at the next round at Winton Motor Raceway.